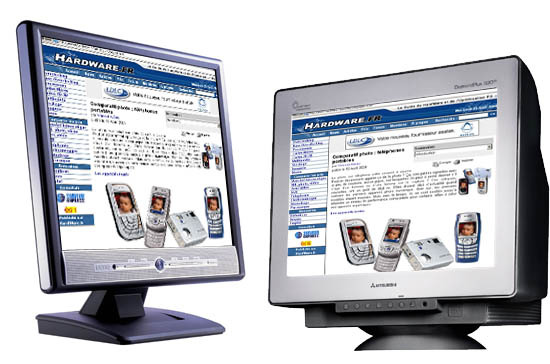 The distinction between a CRT and LCD monitor is to do with definition and the clarity of the image that the user gets at the end of the processing routine. LCD is primarily associated with flat panel screens that produce the best quality images. The correct title is actually Liquid Crystal Displays. The screen will be akin to a sandwich of glass which contains some highly specialized liquid crystal material. This has nothing to do with DriverAssist which focuses on the software behind the display. However, it is an important accessory or peripheral for those users that are looking to enhance their experiences in a special way. As the LCD is exposed to electric current; the alignment of the liquid crystal materials change. In this way, they can transmit or block light to the extent that it creates a very realistic image for the user. The computer industry is constantly looking for ways to upgrade in order to attract the kinds of clients that insist on exceptional delivery. You can buy LCD televisions today for a fraction of the cost that they were once pitched at. In fact, with the use of coupons it is even possible to buy them as cheaply as their CRT counterparts. The fact that they are smaller in size adds to their attraction. In addition, their use of modern technology means that these are environment-friendly devices that actually use less energy than their Cathode Ray Tube (CRT) monitor counterparts. Nevertheless, the CRT remains one of the most common monitory types. Indeed, its basic technology came into existence about a century ago. Over time the techniques have been refined in order to meet with the demands of the consumer. Although, the vast majority of reviewers are ardent fans of LCD, there is still a strong contingent that raises its hands up for the humble CRT. Part of this attraction is nostalgic whilst the other is practical and economical. CRT works using three electron guns which shoot streams of electrons onto the screen. There is a mass that blocks the electrons so that the beam only directs towards specified red phosphor dots or their green and blue counterparts in order to develop the image. The three colored dots are what is known as pixels. The screen undergoes rapid scans in order to redirect the light correctly. For example, the position of the beams and their speed will allow for turning on and off. CRT therefore works with pixels in order to present images that are processed by the PC system. CRT has an advantage in that you are able to see dark scenes more clearly than on LCD. This arises out of changes in the contrast ratio between the black and white bits. The two technologies also differ in terms of how they make the color black. The CRT black is way darker than that which is produced by LCD. In that sense, you can get more detail. Of course it helps if your DriverAssist is also up to date.